Sometimes you may encounter that Spotify app is not behaving as it should, for example, the app stops working or cannot play music when connected to some others devices like headphones or speakers. Of course there are solutions you can choose to get you Spotify back to the beat, of which playing Spotify music on other players is the one you can take into consideration. But is there any other music players that will play the music that you have downloaded with Spotify? 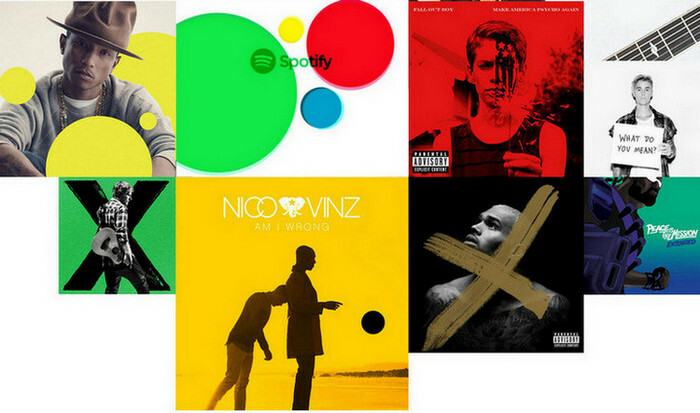 Yes, this guide is going to show you 3 ways to play Spotify music on other music players. BuMP Music Player is a totally free application which is capable of playing music from Spotify and local device in a pop-up bubble without breaking your habits or interrupting current tasks. 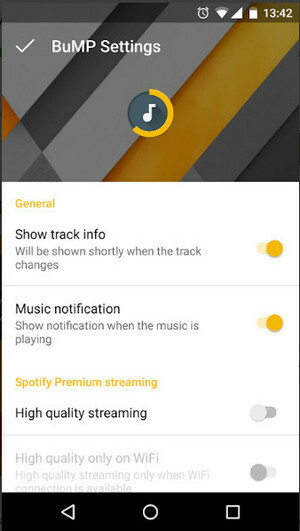 But the prerequisite for playing Spotify music is that you are Spotify premium users and have the application equipped from Android Google Play. On the music part, Kodi can play a slew of formats like AAC, MP3, and OGG from your local computer or internet resources, and also comes with a wide array of add-ons which are designed to enhance the overall experience when using this player. So in order to access Spotify Music on Kodi, you can add Spotify add-on to Kodi. 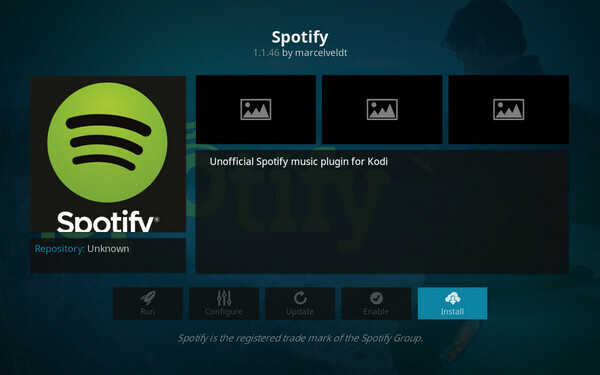 Here is the easy guide to add Spotify add-on to Kodi. Step 1: Download Marcelveldt Repository zip file to computer. 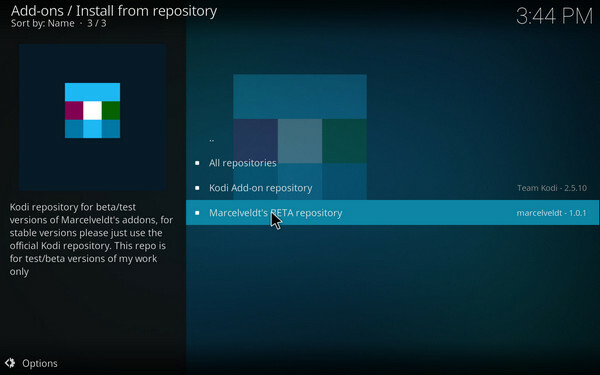 Step 2: Open Kodi program on your computer if you installed it from the official site. Then click "Add-ons" > > Install from zip file, then navigate to the folder where you downloaded the repository zip and select repository.marcelveldt.zip. Step 3: A few seconds later, an Add-on enabled notification will pop up on the top right corner and now you can go back to the Add-on browser and select "Install from repository" and select "Select Marcelveldt's BETA repository" from the pop-up list. Step 4: Select "Music Add-ons" and select "Spotify" from the list, then click "Install" button on the lower right corner. It will take a few minutes to complete the downloading process. Step 5: Click "Configure" icon and a window will show you to enter Spotify user name and password. 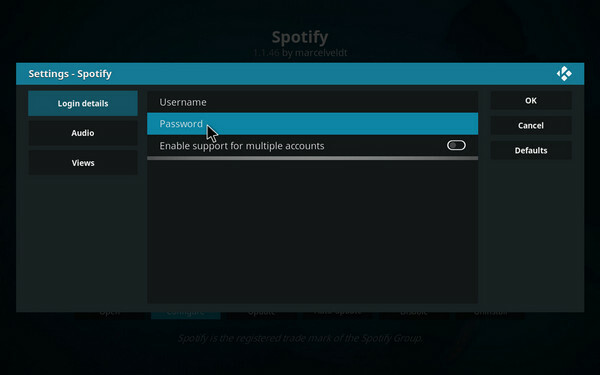 After enter your Spotify account information, you can click "OK" to complete and now you can start using Spotify on Kodi. Generally, Spotify music are DRM encrypted ogg files for copyright protection, even though Spotify allows some third party apps to play their music, you still need to be logged into Spotify account via those apps. So if you want to play Spotify music on other more music players like Google Play, iTunes, MP3 player, Windows Media Player, VLC, Tidal, or web player etc, you need to decrypt the DRM protection from Spotify music, or download Spotify music or playlists to personal unprotected audio files, thus you can import the converted Spotify music to these music players for playback. For this purpose, Sidify Music Converter for Spotify is highly recommended. It is really a fantastic tool to remove DRM protection from Spotify music and convert them to plain MP3, AAC, FLAC or WAV at fast speed with the original sound quality preserved, moreover, all the ID3 tags including title, artwork, artist, album, genre, track number will be kept for better organizing your music library. Let’s follow this guide to remove DRM protection from Spotify music and convert them to unprotected audio files you prefer. 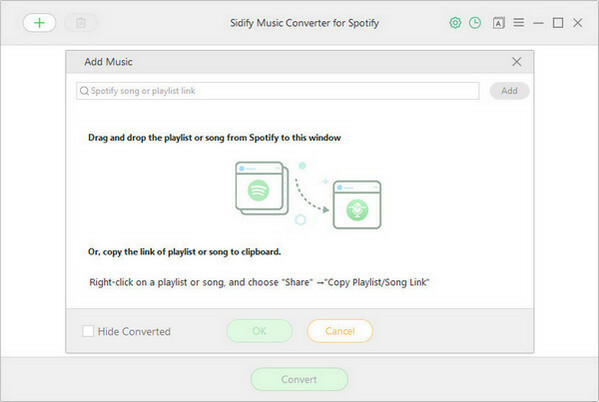 Firstly, launch Sidify Music Converter on computer after the installation, then Spotify music app will launched automatically. You can ahead to Spotify music app to search for the music or playlist you want to convert, and right-click it to copy its URL. Back to Sidify Music Converter and click icon or "Click Here to Add Audio" on the main interface, then a dialogue will pop up to let you paste the URL. 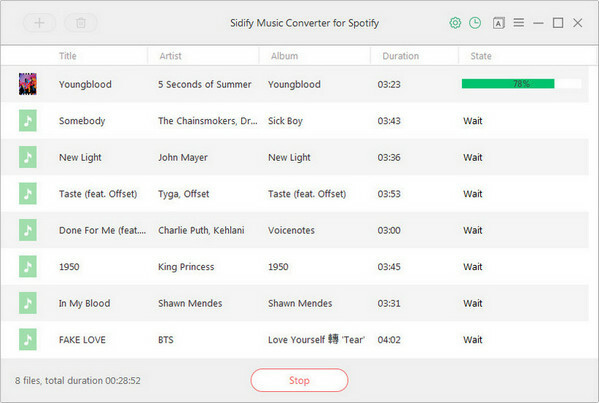 Or you can drag & drop the music or playlists from Spotify to Sidify Music Converter directly. You can click button to choose the output format you want. And you can also change the output path, conversion mode and output quality here. In order to get the best sound quality, you can choose High (320) kbps as the output quality. 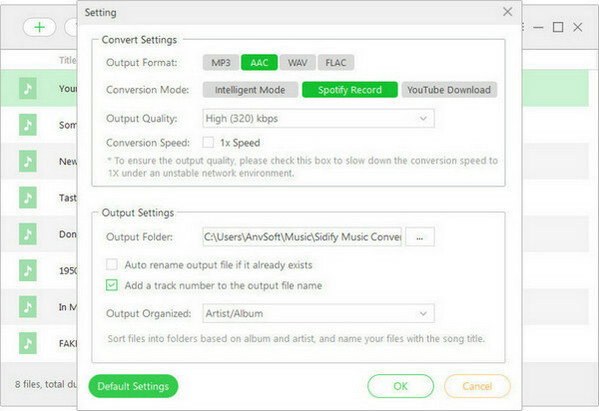 Finally, you can click "Convert" button to start converting the Spotify music or playlists to unprotected audio files. After the conversion completed, you can click button to find the well-converted Spotify music from your local drive. All the Spotify music you added are successfully converted to plain audio files and saved to your local drive, so you just need to launch another music player and import the converted Spotify music. After you finish the process, you can start playing these converted Spotify music on other music players. That’s is the description or introduction for all 3 ways to play Spotify music on other music players, and you can choose any one for trying based on your personal needs.